KidKnits | A new KidKnits community! 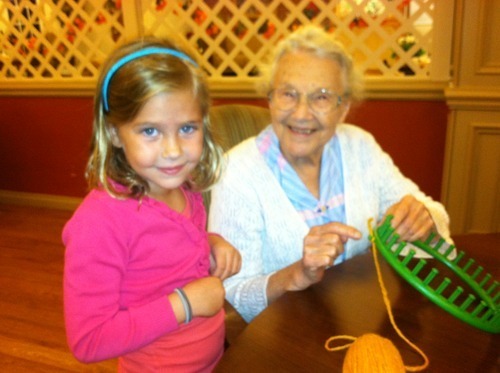 While most of our KidKnits customers are young children, thanks to a new partnership with Midwest Food Bank, we had a very special opportunity recently to share KidKnits with the young at heart. 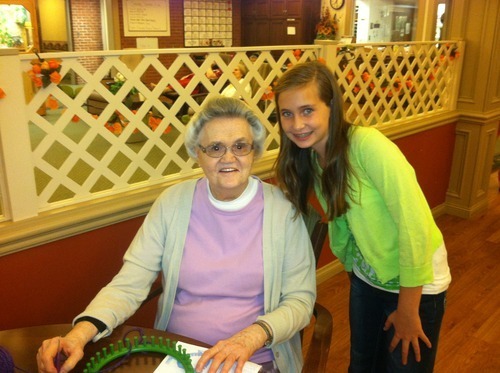 Our entire family had the chance to visit Apostolic Christian Skylines, a local nursing and retirement home. We were excited to be able to share the KidKnits story with the residents, and share our knitting craft project with about 15 women. All of the hats that are made will be donated to Midwest Food Bank’s disaster relief services, and the Skylines home is continuing the project with a weekly knitting activity. We are thankful for the opportunity to share KidKnits with this new group, and it was a wonderful opportunity for our family to share some time with new friends. If you are interested in bringing the KidKnits story and knitting project to your local nursing or retirement home, please let us know!